Today’s post comes inspired by my friend Cody’s review of the Green Lantern movie. Before reading the rest of my post, go check it out on Popgun Chao$! A villain you can believe in. So, today on [Poor Scribbler], I would like to give you a list of my favorite antagonists of all time, and a brief explanation of why each makes the list, in my opinion. This guy is a great villain for a few reasons. One, he is definitely a “means justify the ends” kind of guy. To him, the drowning of worlds in darkness is acceptable so long as it bestows upon him god-like power. Two, he ruined the Hundred-Acre Wood. I have never wanted to defeat a bad guy so…badly. This girl is just mean. She will do anything as long as it brings suffering upon another being, especially against her own brother (one of the greatest heroes of all time, in my opinion). In the end, her malice is so strong that it drives her insane. Oh, and she’s wicked powerful. Without a doubt, Joaquin Phoenix was a prime attraction in this movie. I have never, ever wanted so much for a baddie to get his. He killed his own father, then had an innocent man sentenced to death and his family executed. He’s also the biggest coward on the list. I put this guy on the list because he betrayed his own best friend to prison so that he could both a) take a position of employment that was rightfully his friend’s (even thought he didn’t need it), and b) move in on and marry said friend’s fiancé. This guy was the villain in the final, and by far best, season of Joss Whedon’s Buffy the Vampire Slayer. He derived super-human strength from the original source of evil, he does something horrible to one of the Scoobies, and he is as sadistic as they come. 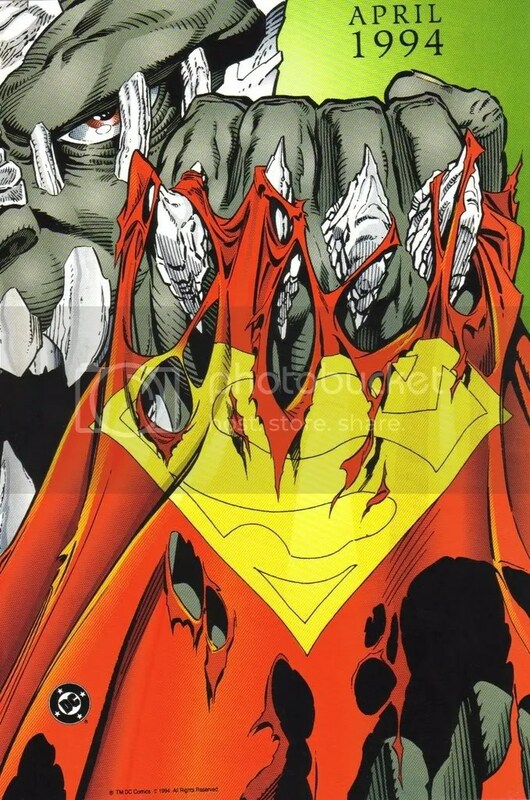 This guy is destruction incarnate, and he actually killed…that’s right…killed…Superman back in 1994. I’ll never forget it. The New York Times ran it as a front-page story, as if a correspondent had actually been on the scene. It’s okay, though; it lead to the most glorious moment in comic book history: the miraculous resurrection of the Last Son of Krypton. In my opinion, this is the greatest villain of all time. First, there is a reason he is the villain. He has an elaborate harrowing, and complex backstory. He represents death itself, which is ironic, because his ultimate quest is to gain eternal life. In order to do so, he commits so great an act of abomination against nature that he is doomed to live a cursed, half-life, and must go on killing in order to sustain himself. Beyond that, he is deceitful, prideful, and above all, deadly. By the end of the series he has inflicted such a great amount of pain, despair, suffering, and darkness upon the protagonists that you feel as if you are emotionally obligated to stand with Harry until the very end. He was one of my favorite villains as it stood after I read the books; when Ralph Fiennes donned the persona, I couldn’t take my eyes off of him. The struggle between Voldemort and Harry is so violent and enthralling that I almost hated to make it to the climax of the book. In the end, Harry Potter and the Deathly Hallows has one of the most flawless climaxes I have ever had the privilege of reading. I love hating Voldemort almost as much as I love supporting Harry. Needless to say, I will probably see the final film multiple times. I think I wrote this post mostly for myself. I love discussing villains as much as, if not more than, discussing heroes. But not as much as I love my anti-heroes…I’ll save that one for another day. In the mean time, please enjoy this song from This Will Destroy You. As always, thanks for reading.